Free screensaver clock that displays the current time through an attractive analog clock to decorate your computer screen when the computer is idle. Configure screen saver clock to your taste and impress anyone who passes by your desk. Set your preferred picture, customize background color and design, and adjust the picture using 'stretch option' ? through screen saver setting. 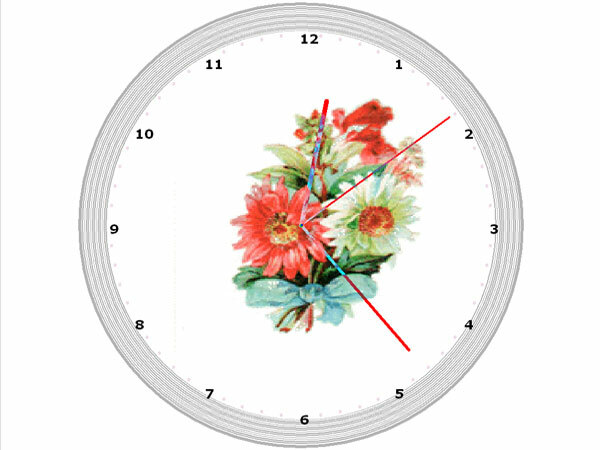 Download a stylish analog clock screen saver and carry on with time! A clock placed in its original setting of the early 20th century. It is not only a desktop clock but also a magic love generator. Clock Tower will take your mind far from the ordinary world. Qweas is providing links to 1888 ScreenSaver Clock 1 as a courtesy, and makes no representations regarding 1888 ScreenSaver Clock or any other applications or any information related thereto. Any questions, complaints or claims regarding this application 1888 ScreenSaver Clock 1 must be directed to the appropriate software vendor. You may click the publisher link of 1888 ScreenSaver Clock on the top of this page to get more details about the vendor.